This “ecOtrace” trail takes you on a journey through timeless surroundings in the hills above the Montreux Riviera. In less than an hour, you’ll travel from charming floral lakeshores to snow-covered peaks with stunning views. There are several ways to get to the start point. Accessible by car, the Restaurant de la Cergniaulaz can also be reached by train from Montreux to Les Avants. You then take a short trip on the charming Les Avants-Sonloup funicular. 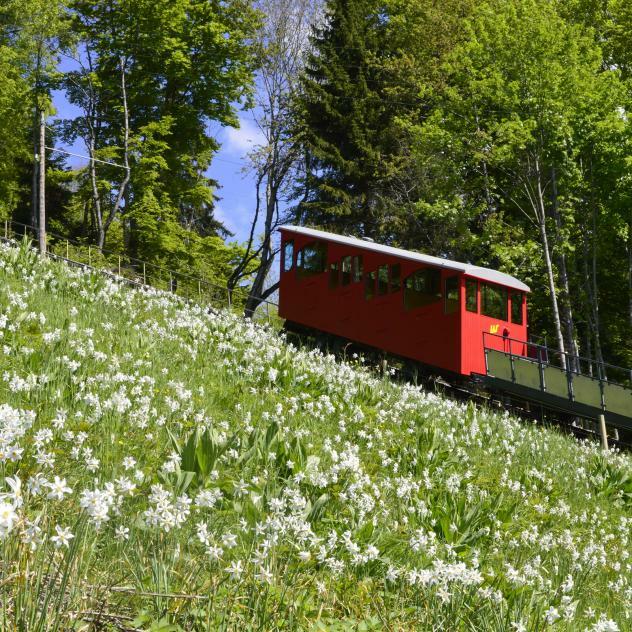 Come in the spring so you can admire the narcissi, known as “May snow”, which grow in abundance on the meadows on either side of the funicular. The route is punctuated by “ecOtrace” interpretation boards offering walkers of all ages detailed information on the protection of the environment. 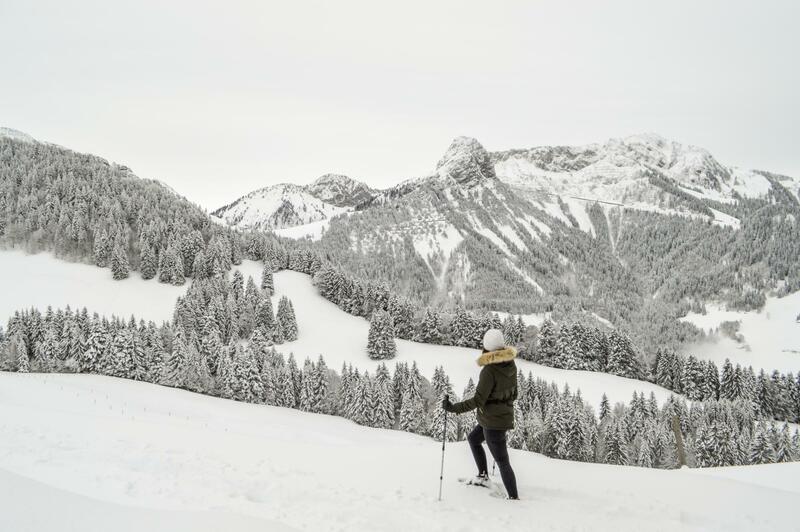 The trail starts off by taking you to the La Pleigne hut, followed by a lovely wide track, a path through the forest then a climb through clearings to the Col de Soladier, at 1,576 m. From here, there are beautiful views of the Dent de Lys, Moléson and Teysachaux and a large log cabin with a covered eating area. You then climb straight up to the ridge and then down to the Chessy alpine meadow, past the Chalet de la Forcla, ending up at Cergniaulaz, a delightful little old chalet with two small rooms straight out of "Hansel and Gretel". The route is only marked in an anti-clockwise direction: Cergniaule – Les Pontets – La Forcla – Cergniaule.